Memorial Day Weekend is here – the official start for summer! Finding great books to add to a summer reading list is very important. Just in time are these great new releases from Disney Books! 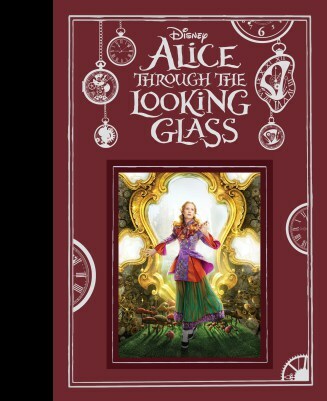 These Alice in Wonderland stories are timed with the release of the new movie, Alice Through the Looking Glass, in theaters now. Join Alice as she disappears down a rabbit hole and emerges in the topsy-turvy world of Wonderland! 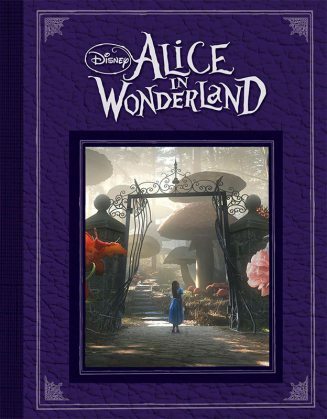 Curious happenings punctuate Alice’s journey, including wild encounters with the Red Queen, the Mad Hatter, the Jabberwocky, and many others! A reissue of the best-selling novel based on the star-studded spectacular featuring Johnny Depp (Pirates of the Caribbean), Anne Hathaway (The Princess Diaries), Alan Rickman (Harry Potter), Christopher Lee (Lord of the Rings), and directed by Tim Burton! The NDK Review: This was a good book. I haven’t seen this version of the movie. This version is very different from the cartoon. 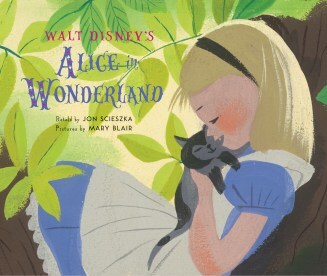 The cartoon version is Alice’s first visit to Wonderland. In this story, Alice is older and makes her second trip to Wonderland, except now she calls it Underland. One day, while attending a party, Alice noticed White Rabbit. She followed him and fell into the rabbit hole, starting a new journey. This time, she met up with the Tweedles, Mad Hatter, the March Hare & Dormouse. Alice had to return to Underland because the prophecy said that she had to slay the Jabberwocky, who belonged to the Red Queen. This was an exciting adventure to read. I really want to see the movie so I can compare it to the book. Based on the motion picture! When Alice returns to the whimsical world of Underland, all is not well. The Mad Hatter has lost his muchness. That is to say, he has become horribly and certifiably normal. What’s more, the banished Red Queen has devised a plan to regain the throne. Soon Alice realizes that the only way to save the Hatter- and Underland- is to travel to the past and right old wrongs. But Time may not be on her side. In fact, he may even try to stop her! The NDK Review: This was another great Alice adventure. This version is from the movie that just came out. It’s a good story version, as a lot of the movie is included in this book. I don’t want to spoil the movie if you haven’t seen it yet. So, if you see the movie and really liked it, definitely read this book! The ending of the book is slightly different and lets you know that Alice may soon have another adventure. I can’t wait! If you want to read what I thought about the movie, read my review here. The NDK Review: This is a choose-your-own ending book. These are fun because you can always read a different story. 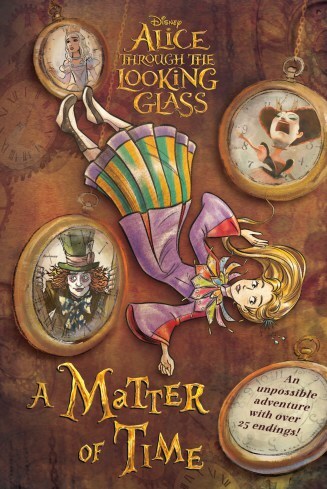 In this book, you can choose to be one of four characters: Alice (now), Mad Hatter (then), Red Queen (now), White Queen (then). This story can bounce back and forth in time. So many different things can happen in this book. Some of this book is in the new movie, but other parts are from the character’s past, which may not be seen in the movie. If you choose certain endings, you get to flip the book upside down to finish reading it! This is a fun book. I have read it twice already and can’t wait to try a different ending. The front cover says there are 25 endings! The NDK Review: This is a very pretty version of the Alice in Wonderland that everyone knows, the cartoon version. The sentences are short and easy for beginning readers or little children. I really enjoyed this because the artwork is beautiful. I like Mary Blair art because she designed It’s a Small World and the 5-legged goat on the mural at the Contemporary Resort. I think everyone will like this book because it is a nice story and the pages are very pretty.